André Bénéteau and very efficient fairing. Thanks to its flared stem, it moves through choppy waters without bumping or soaking everything. It is the fast and reliable cabin cruiser for offshore fishing and fast cruising. 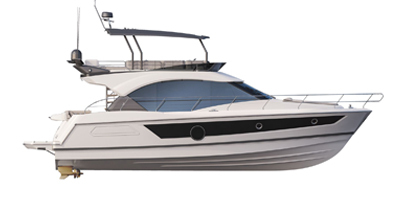 The Antares 8.60 is an elegant and luxurious model, aboard which pleasures abound.